First, none of these changes are retroactive—they do not affect 2017 taxes on returns which will be filed in 2018. However, they can affect cash flow of families in 2018, who may see different tax withholding based on incomes earned in 2018. The new tax law makes a significant change in how spousal maintenance (alimony) is treated for agreements or orders entered after December 31, 2018. Spousal maintenance established after that date will no longer be tax-deductible to payors nor taxable as income to recipients. To be able to take advantage of current law, an instrument incident to divorce (such as a Separation Contract) or a court order needs to be effective prior to the end of the 2018. Current law does not provide a windfall, but helps post-divorce families make ends meet, given the additional costs of maintaining two households instead of one. By allowing the tax paid on income to be shifted to the ex-spouse in the lower tax bracket, current law can help provide a little more funds to help support families during a difficult time of transition. Unfortunately, the 2017 law will inevitably create additional financial stresses for families and children of divorce. The change has two effects: (1) It benefits taxpayers who previously took the Standard Deduction, by excluding additional income from being taxed. (2) It can reduce financial incentives Code for some taxpayers to incur expenses that could be itemized, such as mortgage interest and charitable expenses.This change is likely a benefit for spouses who rent after divorce, because they will benefit from the larger Standard Deduction. In Seattle and other areas where rents and property prices are high, the tax incentive to purchase is diminished—there is less incremental tax benefit for the (now limited) mortgage interest and real estate tax itemized deductions. Only the interest on mortgage debt up to $750,000 to acquire, build, or improve a principal residence will be deductible. (This amount is $1 million for mortgage loans incurred prior to 12/15/17.) Similarly, property tax and sales tax as itemized deductions are limited to $10,000, including real estate tax. With Seattle and King County real estate prices often at $1 million or more, and real estate taxes commensurately high, many Seattle-area homeowners will have much more limited tax benefits relating to their housing costs. Currently, divorced spouses often negotiate who can claim the dependency exemption for children after divorce. This too has a budgetary effect. From 2018 to 2025, the dependency exemption is eliminated. For Washington State child support orders for teenage children, there is little benefit to addressing who gets the dependency exemption after 2017. Until reaching a threshold income ceiling, taxpayers receive a tax credit of up to $1,000 per child. The tax reforms increase the maximum tax credit to $2,000 per child and increase the threshold income ceiling. 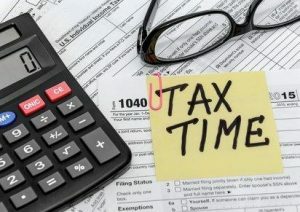 There are of course other provisions that will affect individual taxpayers, including tax rate changes that will somewhat benefit many taxpayers, but mostly benefit higher-income taxpayers. These changes are already affecting financial decisions made in divorces, and will continue to do so.